Allow for part misalignment in multiple directions. ATI offers three unique compliance compensators that allow your workpieces to operate more reliably in tight alignment tolerances with less effort required to design. This will save both time and money, and reduce downtime. This unique compensation device offers X-Y lateral compliance and allows pieces to be gripped or routed reliably even if the workpiece is severely misaligned. This unit is designed for high endurance and high repeatability position compensation for use in automated assembly, loading and unloading machines, and more. This device is named for its unique combination of compliance behaviors including X-Y Lateral, X-Y-Z Rotation, and Z Compression. 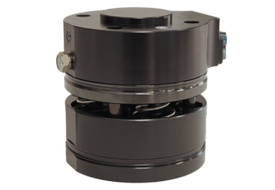 After compliance, the UCC returns to center repeatability by means of a pressurized internal reset piston. The compliance stiffness can also be tuned for each application by varying the supply pressure, offering adaptability to a variety of demanding applications including: automated assembly, bin picking, loading and unloading machines, robotic finishing, and more. 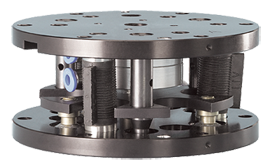 Designed to correct alignment errors for peg-in-hole automated assembly applications. 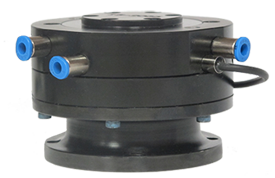 The RCC Compensator is engineered to project a compliance center (also known as center-of-compliance) forward by using three or more elastomer shear pads. These shear pads are stiff axially and compliant laterally. When the contact point is near the center-of-compliance, the part will automatically correct lateral and rotational misalignment, reducing the contact force and preventing galling and jamming. A Compliance device automatically compensates for part positioning errors, fixture misalignments, and variances in part tolerances. 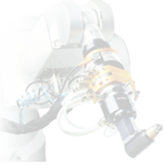 Compliance devices are used in automated assembly, bin picking, loading and unloading machines, robotic finishing, and more.